The champagne pourer ensures controlled pouring, minimal loss of the previous champagne bubbles, as well as a perfect no-drip feature. The stopper eliminates waste by preserving the flavour and finish of previously opened bottles of champagne. The twister, a 4-legged design, captures and loosens pressurized corks with a simple twist. 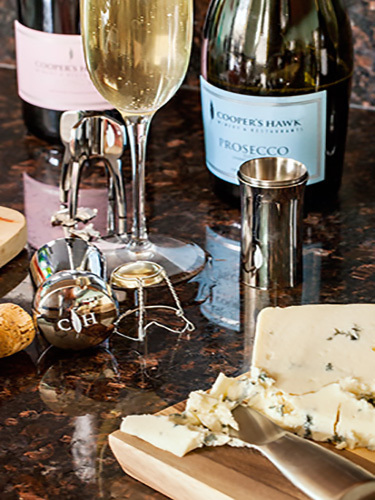 - Latches to the cork and reduces the danger of flying corks. Keep the best qualities of the champagne and enjoy a divine drink with your close friends.